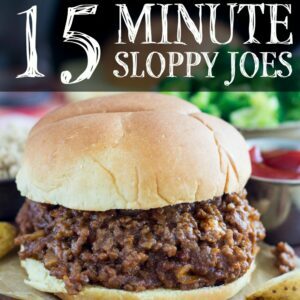 Homemade sloppy joes that can be prepped and ready to eat in 15 minutes! 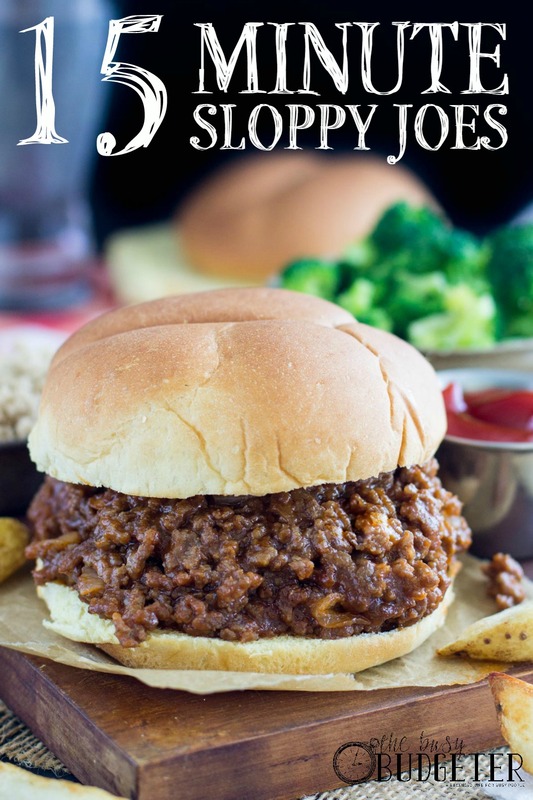 These homemade sloppy joes are, by a long shot, the most requested meal in my household. And I love that, for so many reasons. 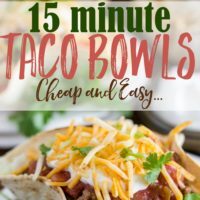 Firstly, you wouldn’t guess it from the taste, but they are almost effortless to make and take only fifteen minutes from start to finish (and I know I’ve mentioned before how much I love 15-minute meals!). It’s a recipe that’s quick, easy, and (maybe most importantly) homemade. At the end of the day, I want to be feeding my family something that’s not doled out of a grease-stained paper bag that’s been passed through a drive through window, but that can be tricky when we’re feeling pressed for time (and when are we not?!). Secondly, while I’ve tried a lot of sloppy joe recipes ranging from the fancy (for me that means no ketchup) to the canned sauce, this one is not only one of the easiest I’ve ever made, it’s also my favorite. 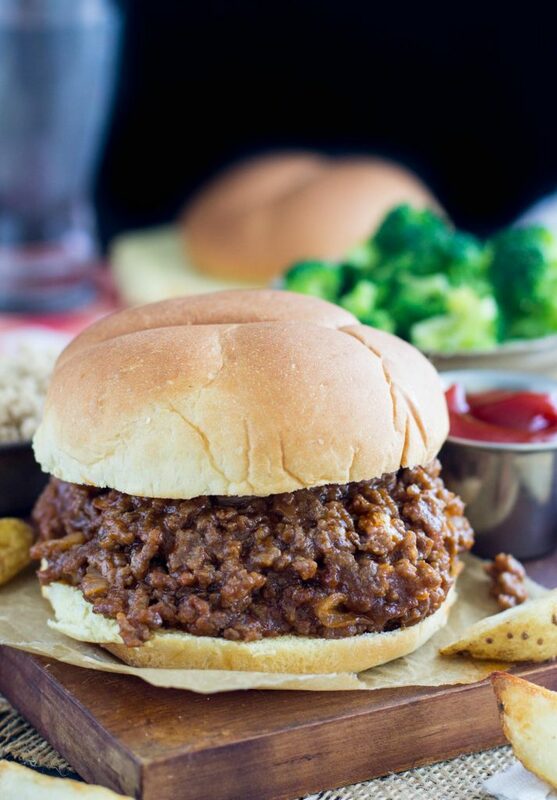 These homemade sloppy joes use a generous scoop of brown sugar as their secret ingredient; this caramelizes the meat and the onion for a richly flavored, almost sticky, completely irresistible finish. 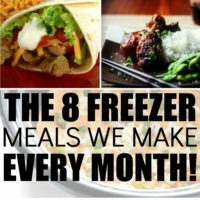 Thirdly, even though this is technically a bit more work than opening a can of sloppy joe sauce, with a homemade recipe you know exactly what you’re feeding your family. Not only do I hate the super-processed taste of canned sauce, it also has way too many unpronounceable ingredients, which I don’t love feeding my family! 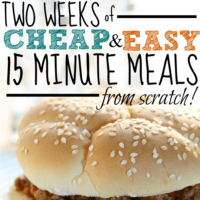 Finally, it’s a very inexpensive meal! A pound of lean ground beef cost me around $5, the buns were $2.50 (for 8), and the onion was 70 cents. I already had the rest of the ingredients on hand, so this was a filling meal for just over $8 (that’s the price of one combo at the drive thru!). We served it with some steamed broccoli that I’d had in the freezer (I think it was less than $2 at the grocery store), and everyone asked for seconds. First, cook your beef and your onion (make sure to use your spatula to break up the meat as you go) until the beef is browned and the onion is soft. 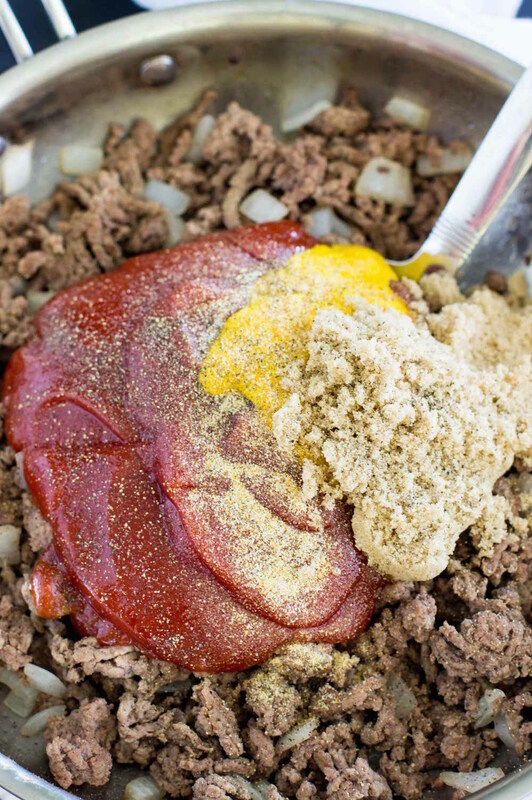 Drain off the excess grease and then add your ketchup, mustard, sugar, garlic powder, and salt and pepper. Stir it up, baby! Stir it well until the meat is coated, and reduce your heat to a simmer. Let it simmer and cook for at least ten minutes, stirring occasionally. Then spoon that caramelized, classic, sloppy goodness onto a hamburger bun and have at it! Heat a medium-sized skillet on the stovetop on medium-high heat. 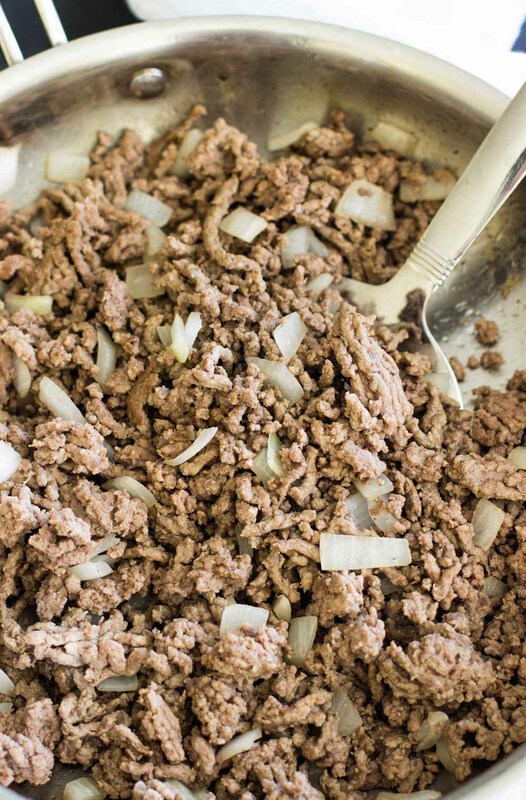 Add ground beef and chopped onion. Cook, stirring frequently and chopping up the beef with the spatula/spoon as you go until meat is browned. Reduce heat to medium-low and simmer, stirring occasionally, for 10 minutes. Portion meat onto hamburger buns and serve warm. Yes! 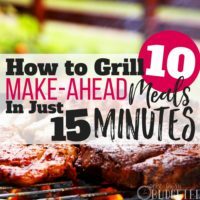 This is one of my standards that is quick, easy, and the kids actually like! Thanks Rosemarie! Simple ingredients, quick to make, homemade and good tasting… Heaven!